Saturday goes by slowly, rain and wind fustigating the windows. It’s comforting to be inside, sewing away, eating cookies and drinking tea. 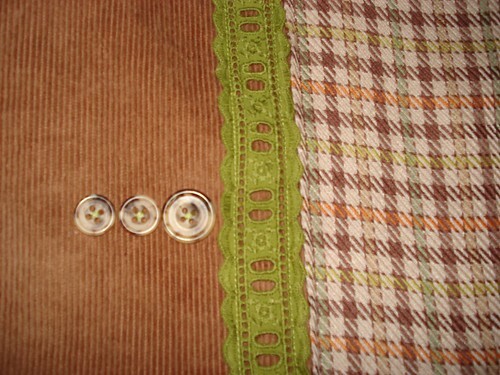 The vintage buttons find their place in the freshly sewn corduroy bag, as if they were just expecting this new role in life.